Innov8 will utilize the funds to expand its footprint beyond Delhi NCR, Mumbai, Bengaluru and Chandigarh. 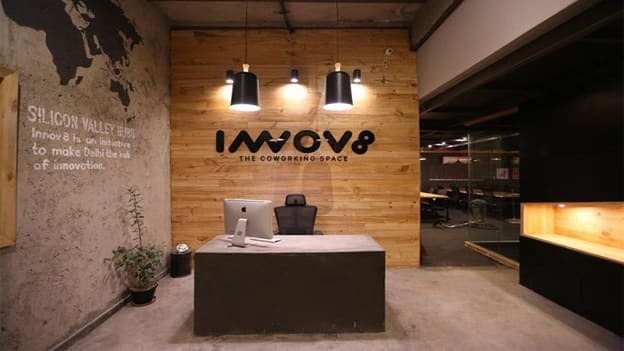 Coworking startup Innov8, owned by Guerilla Infra Solutions Pvt. Ltd, has raised a $4 Mn pre-Series A round led by Credence Family Office, as per a top company executive. Existing investors also participated in the funding round. Innov8 will utilize the capital to expand its footprint beyond Delhi NCR, Mumbai, Bengaluru, and Chandigarh. Prior to this round, it had raised an undisclosed sum in angel money from Lets Venture and Venture Catalysts in February 2017. The startup, which was founded by Ritesh Mallik in 2015 is also backed by angels including Paytm founder Vijay Shekhar Sharma, Google India head Rajan Anandan, Anand Chandrasekaran, the global director of platform and product partnerships for Facebook, and Girish Mathrubootham, chief executive of Freshworks. Innov8 operates 13 workplaces across the National Capital Region (NCR), Mumbai, Bengaluru, and Chandigarh. It plans to use the funds to expand to four centres and double its seat count to 8,000 in the next six months. Its clients include RBL Bank, food delivery major Swiggy and Vice Media, among others. Innov8 competes with players such as Awfis, 91springboard and Cowrks, Blume Ventures-backed BHive, and WeWork’s Indian arm, among others. Meanwhile, WeWork is also aiming to double its locations in India to 20 by the year-end.